Applying to a UK university in 2017? 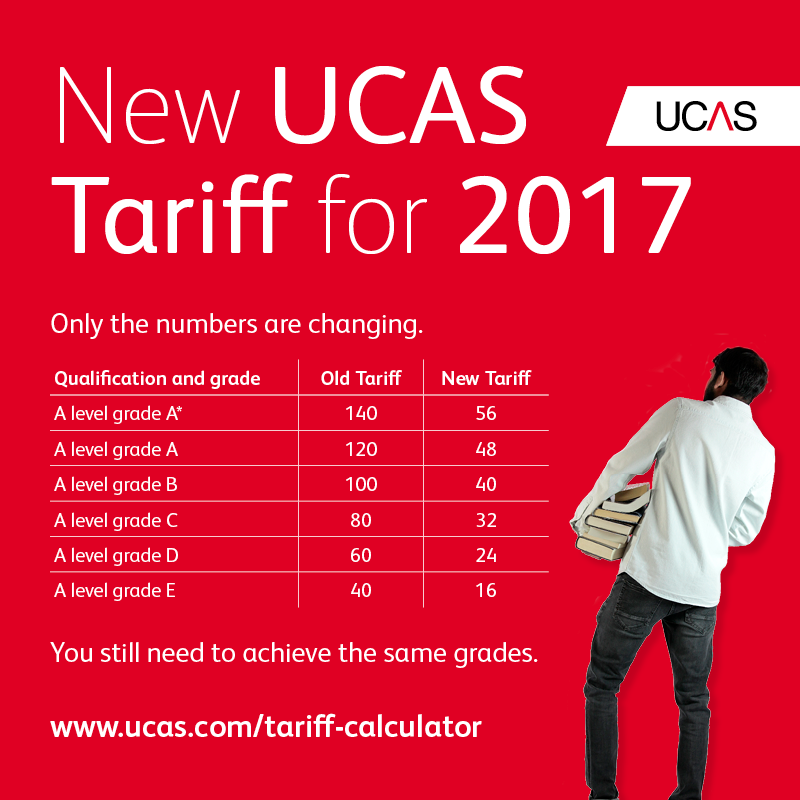 You need to know that the UCAS tariff system is changing! To apply for an undergraduate degree course at a university in the United Kingdom, you apply through a system called UCAS (University College Application System). This is for both local students and international students. You fill out your personal details, nominate up to 5 degree courses to apply to at different universities and write a personal statement to support your application. For more study tips and advice on applying to universities, subscribe to our newsletter. Once you have submitted your application, the universities will usually make you a conditional offer. This means that you have to score a certain number of points in your A levels. The way the points (tariff) is calculated is changing for 2017 entries. If you are an international student studying A levels, have a look at the picture below from UCAS. Here at Bucksmore Homelingua, our courses can be tailored to your needs and help you prepare for applications. Get in touch with Bucksmore Homelingua if you are applying to universities in the UK or Ireland. We have a university preparation course and also IELTS exam preparation course to help you achieve your goals. ← Are the myths about Oxford University interviews true?